A developer is planning to build out a series of homes in Humboldt Park near the 606 with an asking price of more than $900,000 each. A developer is planning to build out a series of homes in Humboldt Park near the 606 with an asking price of more than $900,000 each. 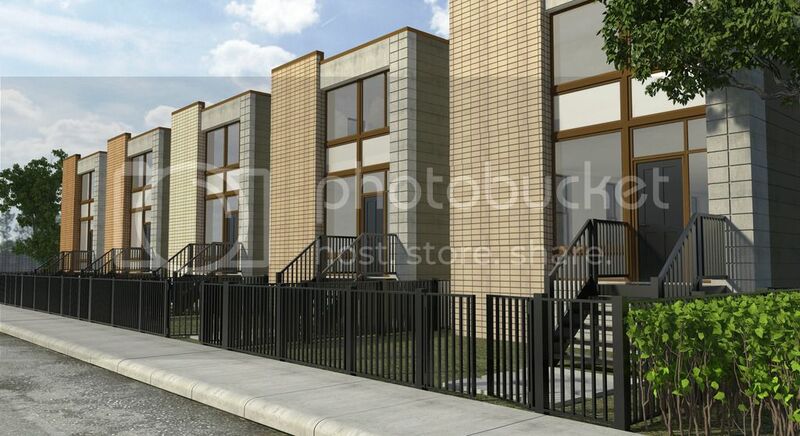 View Full Caption The Biazar Group HUMBOLDT PARK — A developer is betting on Humboldt Park, with plans to build five homes with starting prices above $900,000 apiece. The homes are planned for an area less than half a block from the 606 on Humboldt Boulevard. A half-dozen years ago that price would have been unthinkable, but high-end buyers have been paying more attention to the neighborhood because of the new elevated trail, according to Staci Slattery of the Biazar Group, a co-listing agent on the properties. "You continue to see people who maybe were unfamiliar with the area in general and were drawn to the 606 or having very strong feelings about the 606 having a positive effect on the neighborhood," Slattery said. Paul Biasco · DNAinfo Reporter Has the 606 led to a rise in property values? The developer on the project, Perry Casalino, has plans for five, four-bedroom homes, each with 3½ bathrooms and luxury finishes. The first two homes, projected to be completed by September or October, will be built at 1726 and 1728 N. Humboldt Blvd. The developer built two homes near the proposed site in 2013 and told Crain's Chicago Buisness "the market there could only take them in the high $400,000s," at the time. The new homes are priced at $929,000, preconstruction, and include three family rooms each and a penthouse room leading to a rooftop deck with a wet bar. Each house also will have a backyard and garage. The developer bought the five lots together a little more than a year ago for about $1.5 million, according to Crain's. Slattery, the listing agent, said for many buyers, being near the 606 has been in the discussion for a number of years in anticipation of the trail, but it's now "reached the tipping point" where people who weren't familiar with Humboldt Park now are looking. The homes are part of the development project called the Fibonacci Collection, named for the design of the facades, which include design that corresponds to the Fibonacci sequence. The developer's comments and new demand for pricey real estate in Humboldt Park, particularly near the 606, flies in the face of a Redfin report earlier this year that claimed the trail wasn't causing a spike in home prices. Most recently, a group of teenagers protested the development of a stretch of California Avenue near the trail, arguing it is pushing families out of the neighborhood.